Wellington continued to pressure the ball in the 3rd quarter, denying Ark City scoring opportunities and holding them to only 2 points and extended the lead out 20 pts as the 4th qtr. got underway. 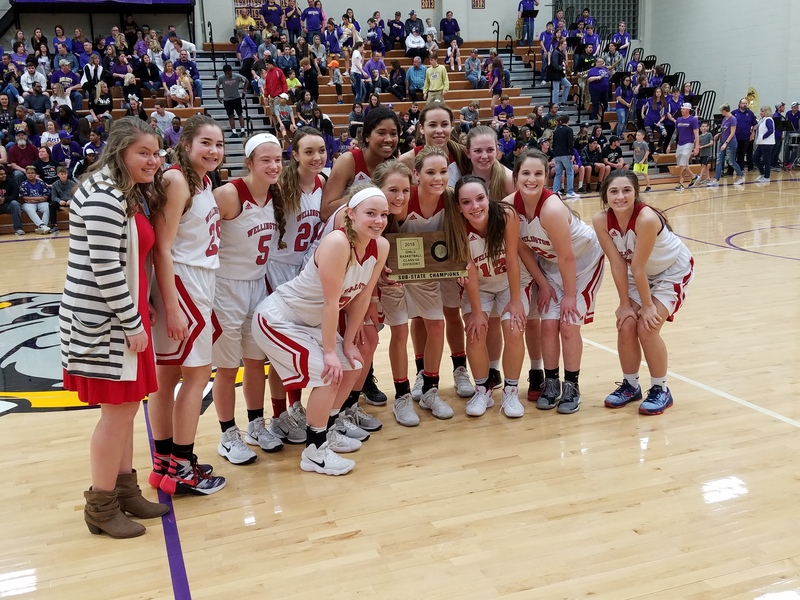 (39-19) The ladies in red got a little careless towards the end, allowing a brief flurry of Bulldog scoring, but it was far too little, far too late...the Lady Crusaders were going to prevail and continue to set records at WHS with their basketball prowess over the last several years. Congratulations to Coaches Adams, Strothman, Brown & Ledesma and congrats to the Lady Crusaders - awesome Senior leadership and awesome memories continue to be in the making as they head down this final stretch of HS basketball together, as they have done now for the past 6 years, initially as Knights, now as Crusaders. The ride, although almost over, has certainly been a dilly dilly journey for welly welly!